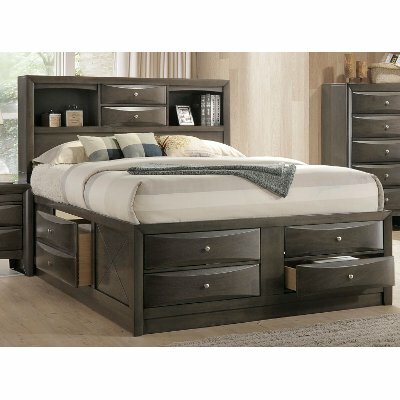 Storage and style abound in the Emily 4 piece king bedroom set and it's now at RC Willey. Its contemporary vibe is as functional as it is approachable and its streamlined silhouettes are beautifully enhanced with a gray finish. Inviting and eye-catching, the Emily collection is sure to breathe fresh air into your bedroom spaces while effortlessly blending in with your existing pieces! 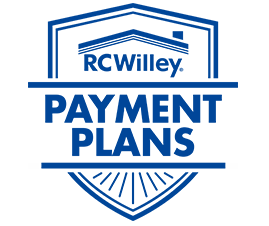 Includes storage headboard, storage footboard, rails, right & left storage drawers for footboard and each side of rails, dresser, mirror, and nightstand. Chest sold separately. Storage and style abound in the Emily king storage bed and it's now at RC Willey! Its contemporary vibe is as functional as it is approachable and its streamlined silhouettes are beautifully enhanced with a gray finish. Inviting and eye-catching, the Emily collection is sure to breathe fresh air into your bedroom spaces while effortlessly blending in with your existing pieces! 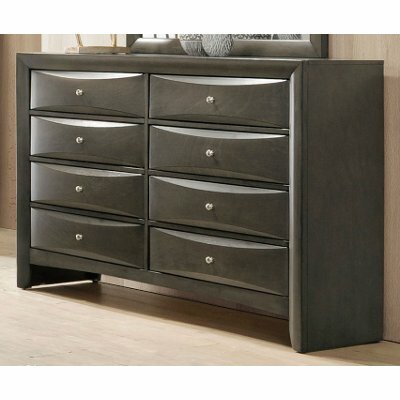 Now at RC Willey, storage and style abound in the Emily collection and this 8-drawer dresser is no exception! Its contemporary vibe is as functional as it is approachable and its streamlined silhouettes are beautifully enhanced with a gray finish. Inviting and eye-catching, the Emily collection is sure to breathe fresh air into your bedroom spaces while effortlessly blending in with your existing pieces! 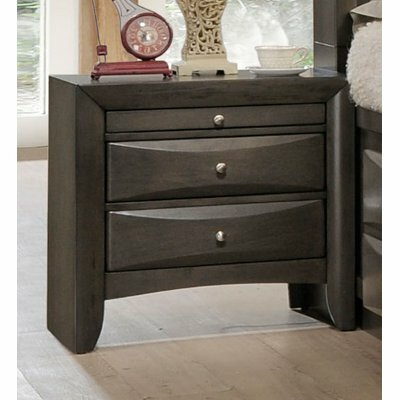 Available at RC Willey, storage and style abound in the Emily collection and this nightstand is no exception! 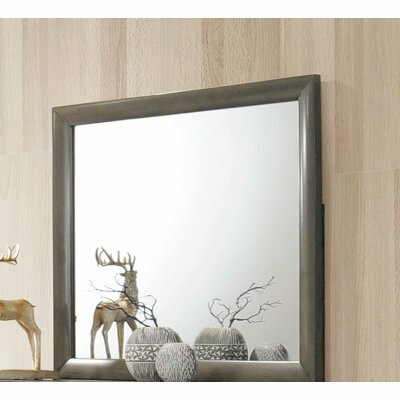 Its contemporary vibe is as functional as it is approachable and its streamlined silhouettes are beautifully enhanced with a gray finish. Inviting and eye-catching, the Emily collection is sure to breathe fresh air into your bedroom spaces while effortlessly blending in with your existing pieces!